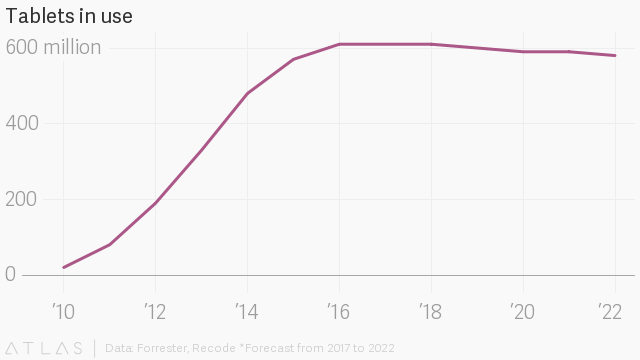 The number of tablets in use around the world should fall 1% per year over the next five years, from about 610 million in 2016 to about 580 million in 2022. 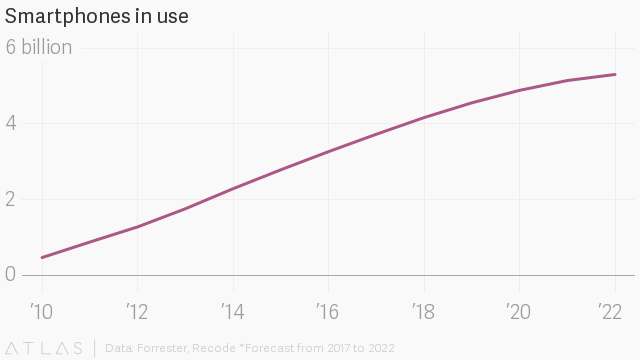 Meanwhile, the number of smartphones in use around the world should grow 7% per year, from about 3.2 billion in 2016 to about 5.3 billion in 2022. Big phones are one of the reasons for the downfall of the tablet. In China and India, where large phones are popular, only a small share of the population owns tablets. When it comes to upgrades, tablets seem to be closer to televisions and video games than cellphones. They last longer and people feel the need to change them less often.